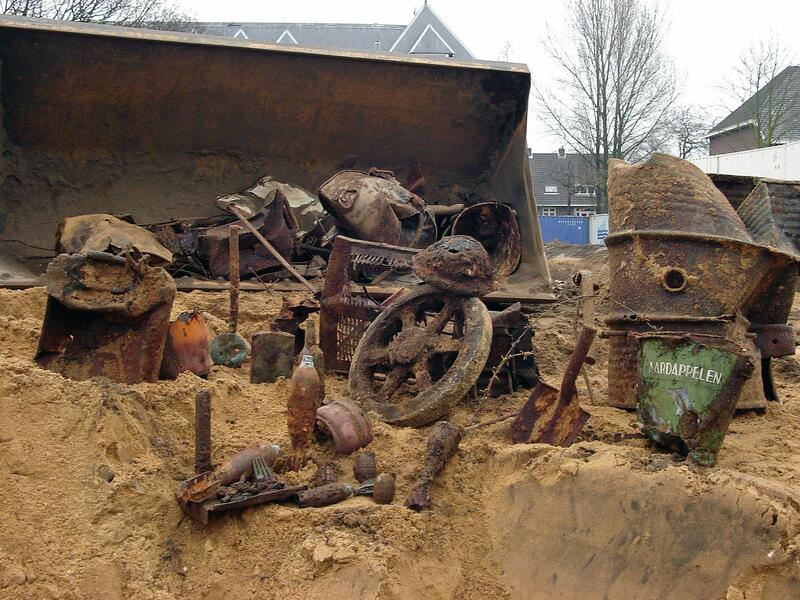 In many projects, there are commonalities between conventional explosives detection and archaeology. 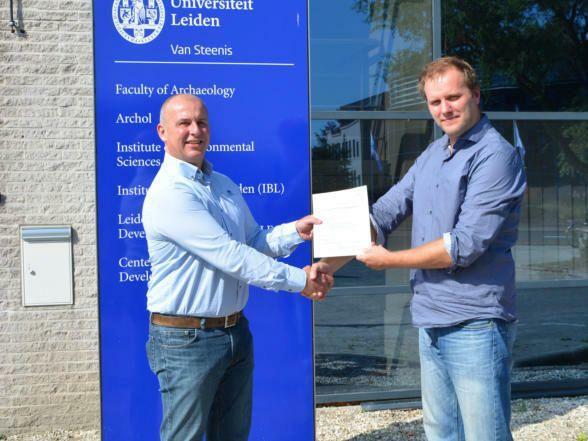 To ensure smooth cooperation between detection and archaeology, AVG Explosives Detection Netherlands and Archol have joined forces in this particular field. AVG Explosives Detection Netherlands first encountered the Archol experts in Maastricht. 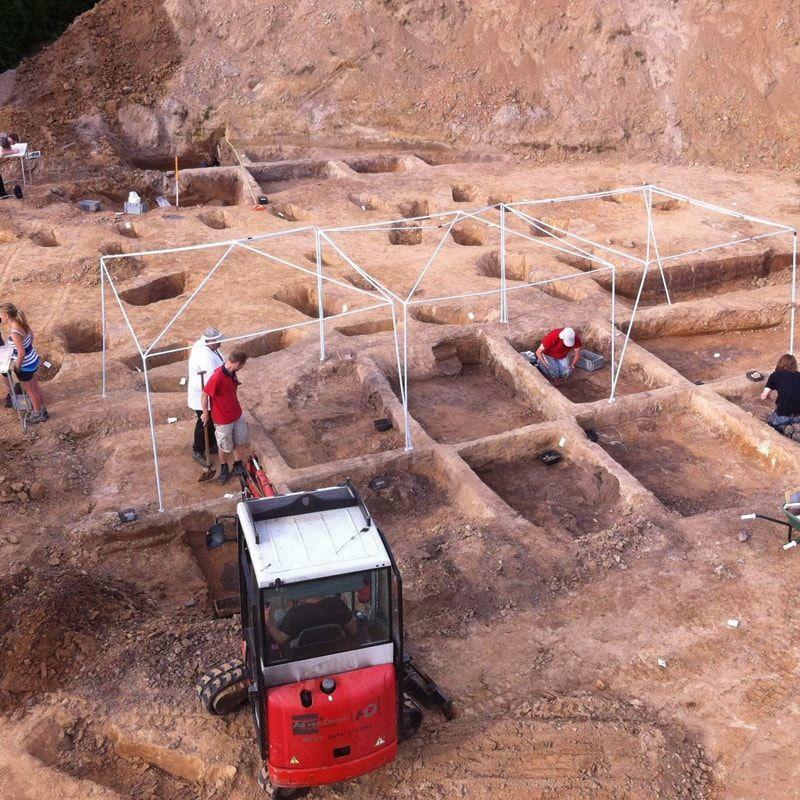 Archol is a company that conducts a wide range of archaeological activities on a project-by-project base. 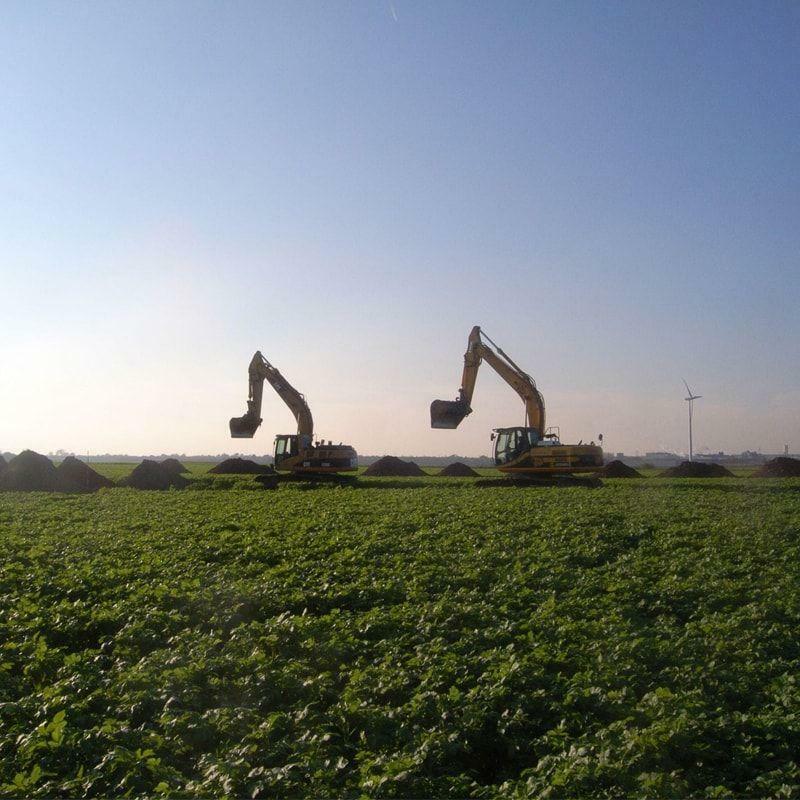 This company, originally from Leiden, focuses on archaeological research of developing project sites, prior to construction. Their research can consist of several steps: Desk research, drilling research, geophysical research, ground-sampling research and excavations. 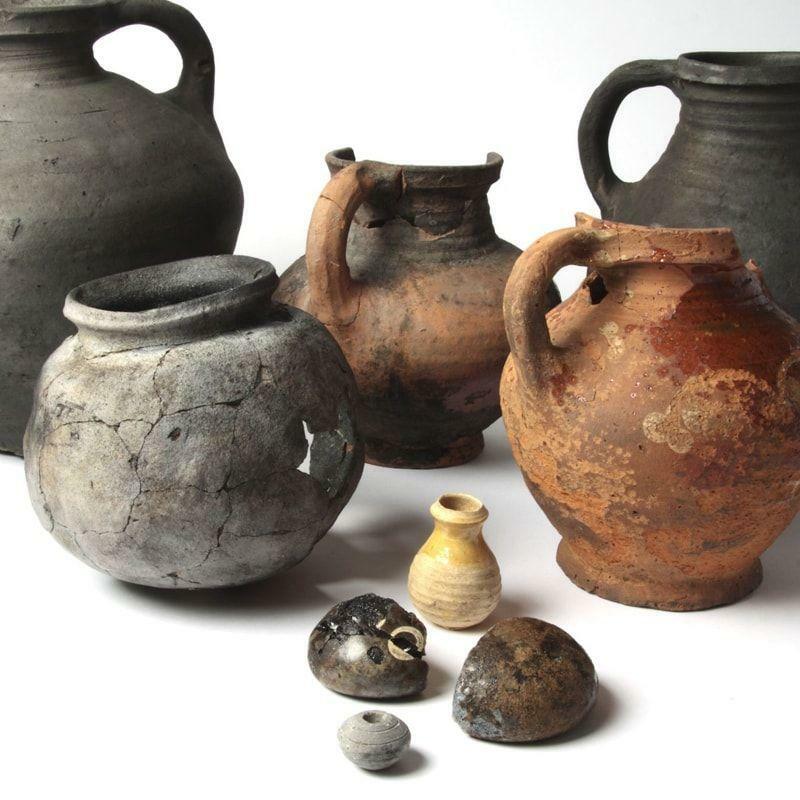 Should archaeologically valuable objects be found, Archol advises the competent authorities (municipalities or government) whether the archaeological residue is worth retaining. The competent authorities will base their decision on this advice, which is supported by a description of the detected residue. In case that no archaeological residue is detected, or that the detected residue is not valued worthy to retain, construction on the project site can commence. 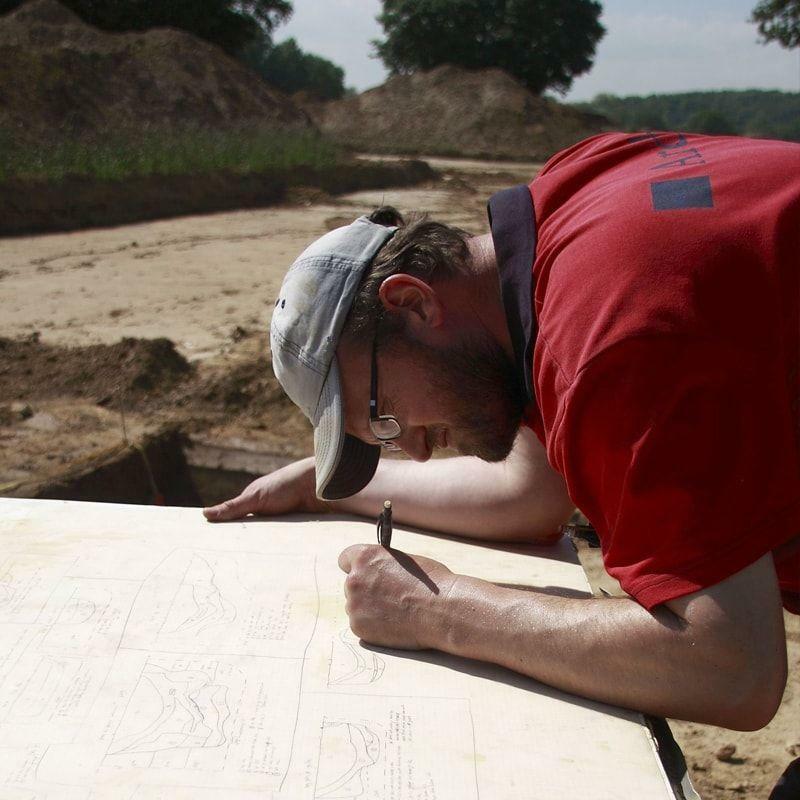 An excavation takes place when the archaeological residue is considered to be worthy and an agreement on authority is reached. Both the discoveries and the discolouration of the ground are interesting, since the latter can indicate prior activity, like the former presence of a well or piles that form the foundation of a structure. This is called the examination of trace evidence. Using a configuration of the piles that sketch the outlines of prior construction, one can determine from when these traces originate. With the information extracted from these investigations, Archol aims to pinpoint the lifestyle of the inhabitants of that time. “The cooperation with AVG Explosives Detection Netherlands immediately felt right,” says Tom. “As soon as we became acquainted, we shared mutual interest about each others activities. 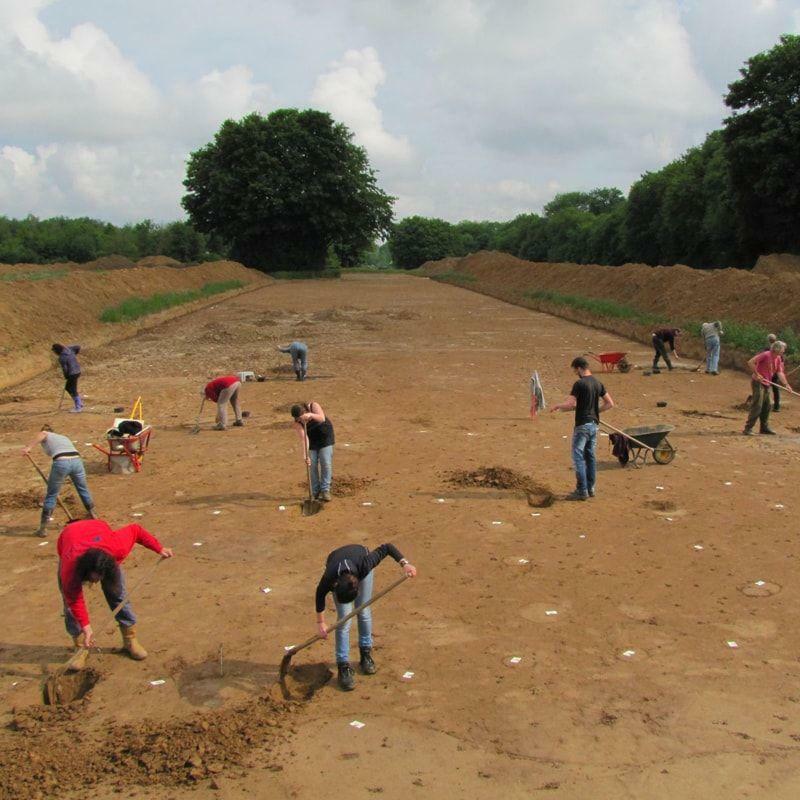 AVG Explosives Detection Netherlands received an increasing amount of archaeological investigation requests and was searching for a party that was in possession of an excavation license. Promptly it proved that we could exchange expertise in the preliminary investigation of developing project sites. 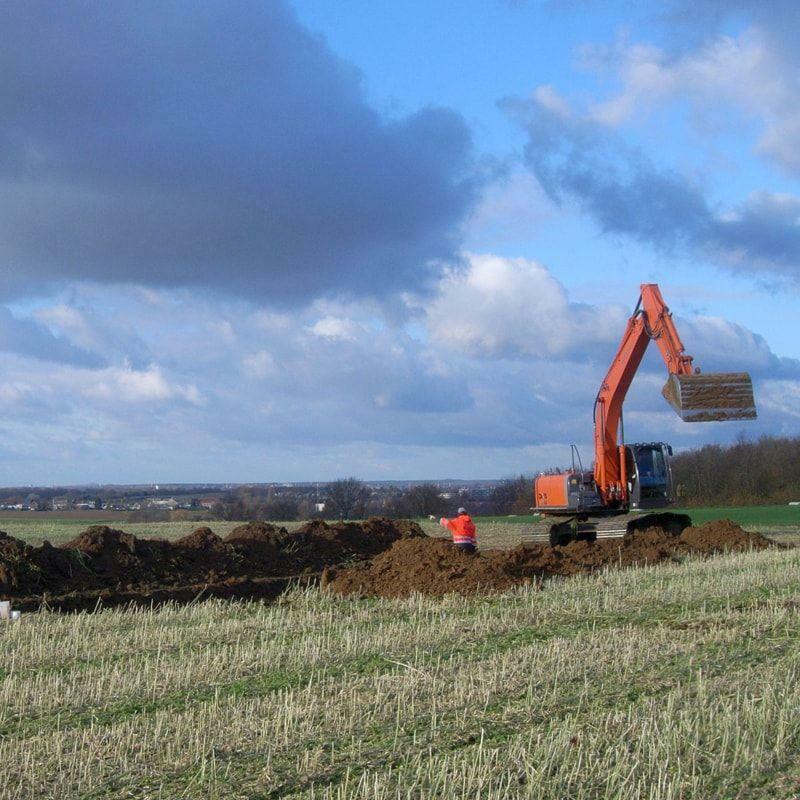 The cooperation between Archol and AVG Explosives Detection Netherlands goes one step further than complementing each other’s activities in the development of project sites. Archol employees are trained assistant experts in the field of conventional explosives detection. They ensure that explosives investigation in archaeologically valuable ground can be executed more efficiently and economically.